Copyright � 2004 PopEntertainment.com. All rights reserved. Posted: January 9, 2004. 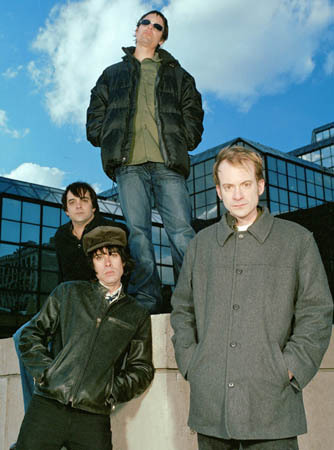 When the National Academy of Recording Arts and Sciences released their 2004 Grammy nominations, Fountains of Wayne were one of the acts nominated as Best New Artist. This must have surprised the members of the band, who were under the impression that they'd been playing together for well over a decade. They believed that the two songwriters for the band, lead singer Chris Collingwood and bassist/guitarist Adam Schlesinger had met and formed the band in college. They thought they had released their self-titled debut album way back in 1996, even getting a bit of an MTV hit with the song "Radiation Vibe." They believed that that multi-Oscar-winning actor Tom Hanks was such a fan that he tapped Schlesinger to write the title track to his directorial debut, the 60s pop-rock tribute That Thing You Do! They had also heard that they released a second album in 1999, the critically adored but publicly over-looked Utopia Parkway. One thing is for sure, though. 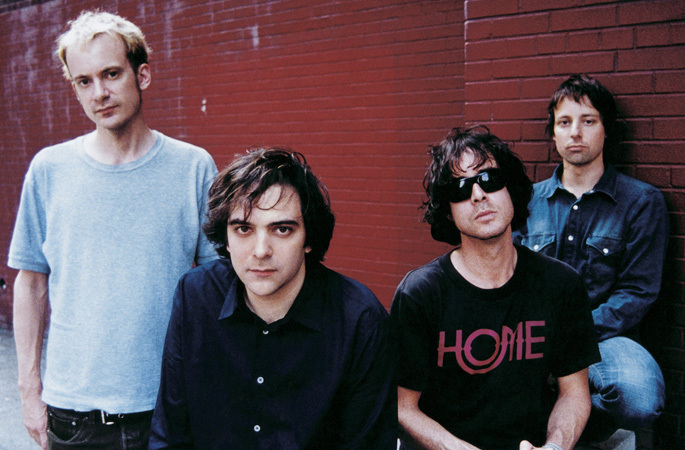 In the past year Fountains of Wayne have vaulted from being critics' favorites to actual hit musicians. 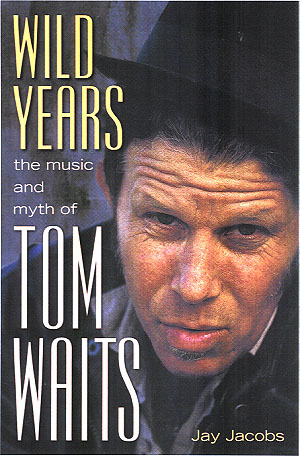 They are no longer one of those bands about whom music scribes say, "you gotta hear them." They are now a band that people are actually hearing for themselves. For this they have to thank "Stacy's Mom," their delightfully retro-sounding single. Maybe it was the pseudo-Cars power chords. Maybe it was the funny and slightly deluded lyrics about a young boy who falls for his girlfriend's hot divorcee mother, and actually believes it is mutual. Maybe it was even the terrific video that pays tribute to the famous pool scene in Fast Times at Ridgemont High. And it doesn't hurt that supermodel Rachel Hunter appears in the video in negligee, either. The great thing is, their latest album Welcome Interstate Managers has fifteen more examples of the band's terrific tunes and quirky short story lyrics. Pretty much any of these songs could be huge hits, at least in a better world where songcraft is more important than beats. The music covers all sorts of bases, from the thumping power pop irony of "Bright Future In Sales" to the lovely gentle melancholia of "Hackensack." There are gorgeous Beach Boys-style vocal harmonies on "Halley's Waitress" and straight-up pedal steel country on "Hung Up on You." The band also masters psychedelic groove on "Supercollider," alt Brit-pop on "Little Red Light" and sweet acoustic folk on "Valley Winter Song." The band has become the latest musical ambassadors of New Jersey. Jersey is a state that is proud of its native sons like Bruce Springsteen and Jon Bon Jovi who put the (often depressingly hard) life of the area to music. The group name is taken from a lawn ornament store in the town of Wayne, N.J., which has gotten even more buzz because it has since been used several times as a location on The Sopranos. Schlesinger grew up in the Garden State in Montclair. Collingwood grew up across the river in Sellersville, a suburb of Philadelphia. The band is rounded out by guitarist Jody Porter and former Posies drummer Brian Young, both of whom have been with the band since soon after the debut album was recorded. Lead singer Chris Collingwood sat down with us to talk about how the band has gotten here. How did you hook up with Adam and get the band together? When your debut album came out in 1996, the single Radiation Vibe became a pretty big MTV hit. Did you think you'd finally made it, you were going to be a rock star? After the response to Radiation Vibe and Adams success with the theme from That Thing You Do!, when Utopia Parkway came out it got great reviews but never got much in the way of sales or airplay. Were you wondering what you had to do to get an audience about then? what the hell are their names? It took about four years between Utopia Parkway and the new album. Why did it take so long? Ive heard that beyond your work in the band, you also do computer programming. Do you think that if not for the music you would be living the 9 to 5 office park cubicle life? How did you get hooked up with S-Curve Records? Stacys Mom turned out to be the bands biggest radio hit yet. At this point, how surprised were you that it really took off? I love the video for it, too. Who came up with the idea of doing a Fast Times take off, and who said lets get Rachel Hunter? The important thing, I think, is that while some of the things the characters in your songs say are sort of sad or deluded, but they dont necessarily feel that way and the band does not look down on them. Like, say, tell the truth, what do you think the kid would do if Stacys mom said, okay, lets do it? A lot of music writers then to refer to it as sort of nerd chic, but I think its simpler than that. Do you feel you understand, relate to and even respect the dreams of your characters? the song is feeling his personal pain, and conveying that to you in the song, like Eddie Vedder and Kurt Cobain or something. Thats certainly a legitimate way to approach it, but theres also the Paul Simon/Randy Newman way to look at it, which is that these are characters in a story. One of the reasons I love Nabokov is that I love the unreliable narrator. Did you ever read Pale Fire? Ive known way too many guys like the one in Bright Future In Sales. How much of your writing comes from life experience, and how much is more fictional? I just love Hackensack. It is a lovely tune and probably has as sad words as anything on the album. Is that based on anyone in particular? One great thing about your songs is that youll often take on sort of sad or pathetic lyrics, but the music is still sort of upbeat and happy. Sometimes youll go in the opposite direction, too, like Fire Island which is a lovely pop ballad about kids trying to get out of having a babysitter so that they can have a party. How do you feel that kind of contradiction between the musical tone and lyrical content can add to a songs impact? All the songs are credited to both of you. So many bands these days feel that its a sell out to have a tune. Do you think pop songcraft is making sort of a comeback now? I remember when I was in college, one of my writing professors said that if you feel inspiration, you should lie down and wait for it to go away. I always thought that was a bad attitude. Do you feel inspiration drives your songwriting and playing? What bands inspired you to take up music? I love that stuff too. Ive actually done a little work for Warners myself, mostly writing liner notes for projects that ended up not coming out because of licensing problems. None of them have came out, except for of all people Christopher Cross, but Chris decided that he wanted a friend and former band mate to write the liner notes after Id done them. So they paid me for the liner notes, but didnt use them. Oh well, what can you do? In the end, how would you like people to see your music? Have you decided whats going to be the next single? Thats a great song. I could see that getting some airplay. Are there any misconceptions you'd like to clear up? Good to know. I was going to lead with that story. #1 � 2003 Joseph Cultice. Courtesy of S-Curve/Virgin Records. #2 � 2003 Joseph Cultice. Courtesy of S-Curve/Virgin Records. #3 � 2003 Neal Casal. Courtesy of S-Curve/Virgin Records.